Choosing the right quality wooden gates. When it come to choosing the right quality wooden gates there are so many different styles,qualities and timber types which could be a daunting though for any potential customer. I am using the project shown below as a talking point for the fundamental things that you should look out for when thinking about what type of gates you should buy. The following questions should be your focus when considering your gateway. Firstly what are you trying to achieve with your gates? Privacy,security or finishing off the over all look of your drive. Secondly is your budget as this is the main factor when making your third decision of what timber? With wood I find the choice quite simple. Hardwood as its hard wearing and durable with the ability to take stain or paint extremely well. Paint I here you gasp! 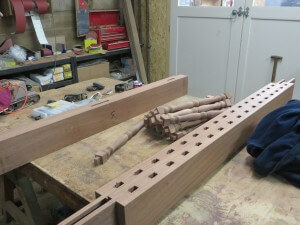 yes its the correct timber to use due to its natural qualities of being hardwearing. There are various hardwoods to choose from. 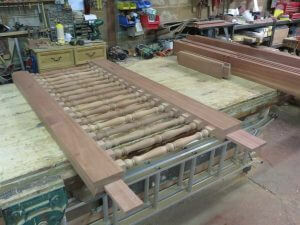 We at Mitech are big users of Iroko as it is so versatile. It stain and paints well, but needs a little preparation first to draw the oil out of the surface with cellulose thinners. A teak oil finish is perfect for Iroko leading with age to that park bench silver grey that so many people adore. 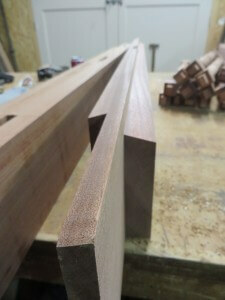 Sapele is another good timber for staining and painting as the grain sits very flat when pint or stain is applied. Be a little careful as the expansion of this timber type is a little more than other main species, so make extra allowances for this. Accoya is an excellent choice of you are painting or if the gate design has a lot of panel work in. It is extremely stable with very little expansion on the width and length. Its softwood that has been modified for stability and the ability to withstand insect attack or rot. Acacia comes with a 50 year above ground guarantee which when painted would be a good peace of mind. 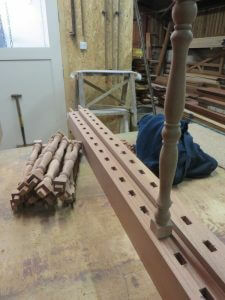 The draw back with hardwoods and Accoya is the cost. Being nearly twice the price of softwood it can make you gateway a little more expensive than expected. It is a case of buy once and buy right! Softwood has its place if you are on a tight budget or don’t plan on needing your gates long term. Next factor is the build quality of the gates. 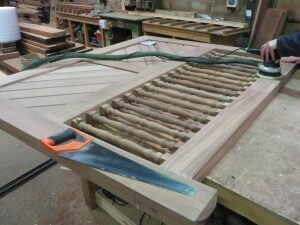 Your gates must have through mortice and tenons that are wedged and doweled. All weather holding edges must have a weather run off angle machined on them (See below pictures). Water proof glues and adhesives for all joints and fixings. What ever the design you are looking for start with a company that will guide you to what is achievable with out threatening structural value and also get themto look at your site. When you have looked at thousands of driveways you get a great affinity building up with what would or wouldn’t look right in any particular drive entrance. The below project has spindle work in which some people may find a little fussy, but when swung infant of the right property sets both house and driveway off with that class and quality that we all want from our homes.